Low-skilled and at-risk individuals — those with limited English proficiency, at-risk-youth, and ex-offenders — are doubly disadvantaged in today’s workforce. First, in an economy in which about three quarters of projected job openings require education and training beyond the high school level, low-skilled and at-risk individuals find it hard to compete even for entry-level jobs. Second, when low-skilled and at-risk individuals seek to build their skills and connect to better jobs, they often experience difficulty accessing appropriate occupational training and employer supports. CCBC is interested in expanding educational opportunities for low skilled and at-risk individuals seeking training and support services that will prepare them to enter and succeed in good jobs and advance along career pathways. 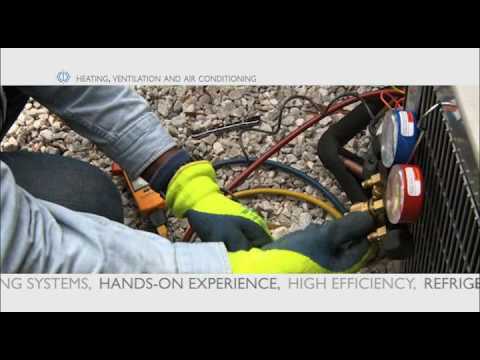 Covers CCBC's programs in Refrigeration, Clean Energy, Heating and Cooling and more!